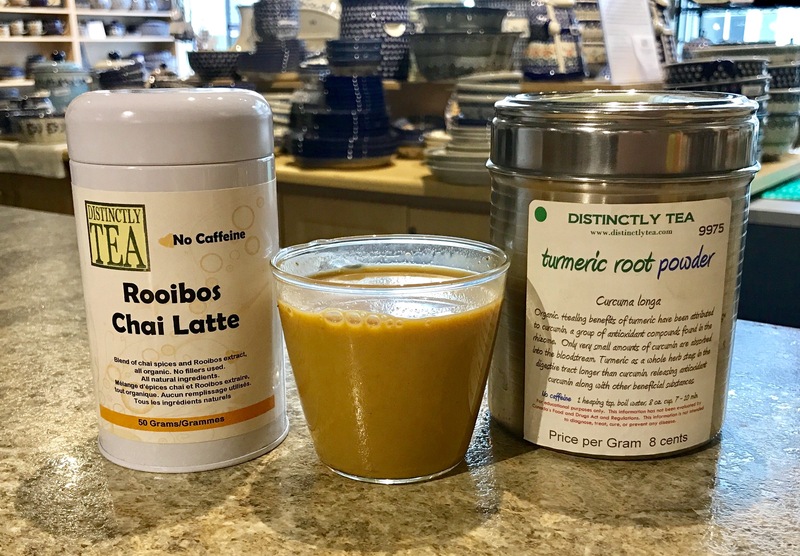 Golden milk is an Ayurvedic beverage that is made using turmeric powder. Curcumin is the most important compound in turmeric and is thought to have anti-inflammatory properties. Black pepper and fat aid in the absorption of the curcumin so they need to be added when making this beverage. 1 - 2 Tbsp. of maple syrup or honey depending on how sweet you like your drink. Melt the coconut milk in a small saucepan. Stir in the turmeric powder and then slowly add the milk. Whisk in the Chai latte mix and black pepper. Heat until desired temperature allowing to simmer for approximately 5 minutes. Stir in your sweetener if desired. Blend of REAL chai spice powders, ginger, cinnamon, lemongrass, cardamom & cloves with rooibos extract powder, all ORGANIC. Add this to your smoothies or make it up with your favourite milk. We use and recommend almond milk when we make a cup to go in our stores.